Updated: Jun 8, 2018, 02:35 AM ISTLion Safari at the Nahargarh Biological park is likely to be ready July as almost 80 per cent of the construction and fencing work has been completed while retiring chambers for the lions are now being furnished, the Jaipur Development Authority said. The work on 8 different visitor tracks is also nearing completion. 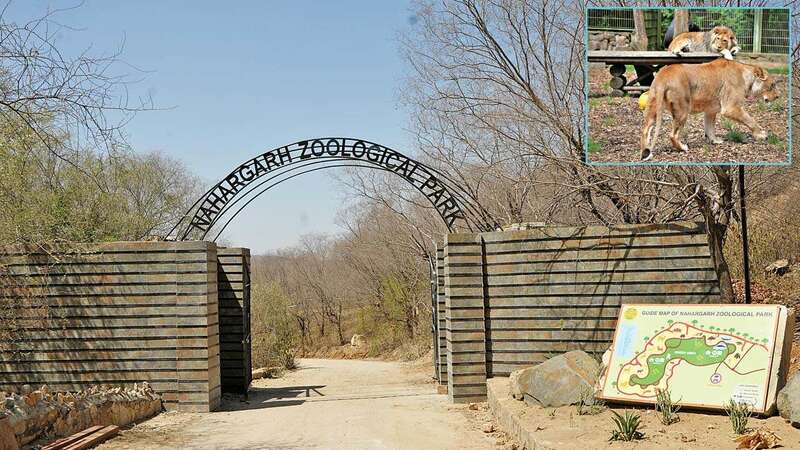 Spread over 36 acres of land, the safari initially will be home to four lions who would be shifted to the park from Jaipur Zoo. An increase in number of inmates is, however, expected as forest department authorities intend to acquire a pair of Asiatic lions and promote lion breeding at the park in future. The safari, which is being developed at an estimated cost of Rs 4 crore, had missed its initial deadline. “The project was expected to be complete by April this year, the process got delayed due to scarcity of bajri (construction sand) and is expected to be complete by July,” said an officer at the Jaipur Development Authority. Nearly 29,000 square metres has been fenced to allow the mighty beasts to move freely while 10 chambers which shall be used for feeding the lions and providing medical treatment whenever required. Three water holes have also been developed at the safari. According to Jaipur Development Authority officials, the tourists will be able to observe the lion in spacious enclosures quite close to their natural habitat. They will also be able to explore the tracks in specially-designed caged vehicles while those looking for a more close view would be able to observe the lions from a concealed watch point constructed at one of the water holes. Spread over 36 acres of land, the safari initially will be home to four lions. Nearly 29,000 sq m has been fenced to allow the lions to move. Tourists will be able to explore the tracks in caged vehicles. They will also be able to observe the lions from concealed watch point.